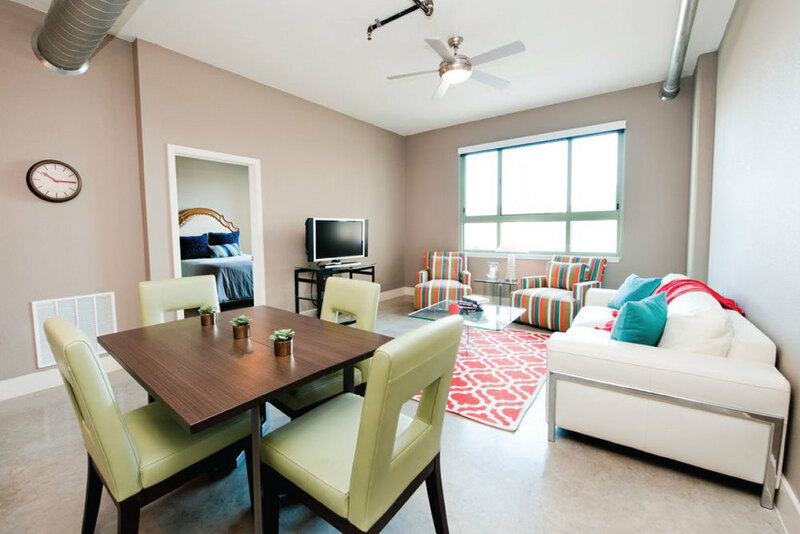 This beautiful high rise apartment community offers ExecuStay Midwest corporate and temporary housing guests luxurious and spacious apartments in the heart of Downtown San Antonio. This community offers apartment homes, with secure parking in their multi-level parking garage. 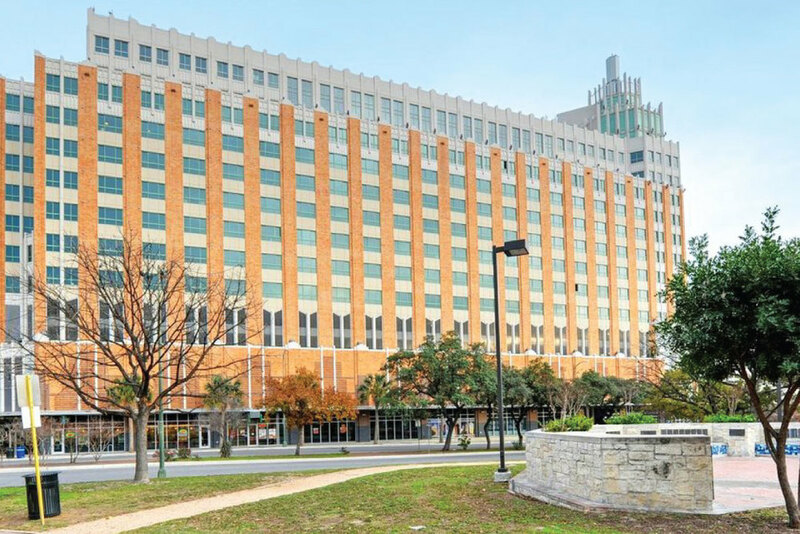 Within a short walk to Historic Downtown San Antonio and within a short driving distance to the famous San Antonio Riverwalk. High, exposed ceilings accentuate our corporate residents' retreat. 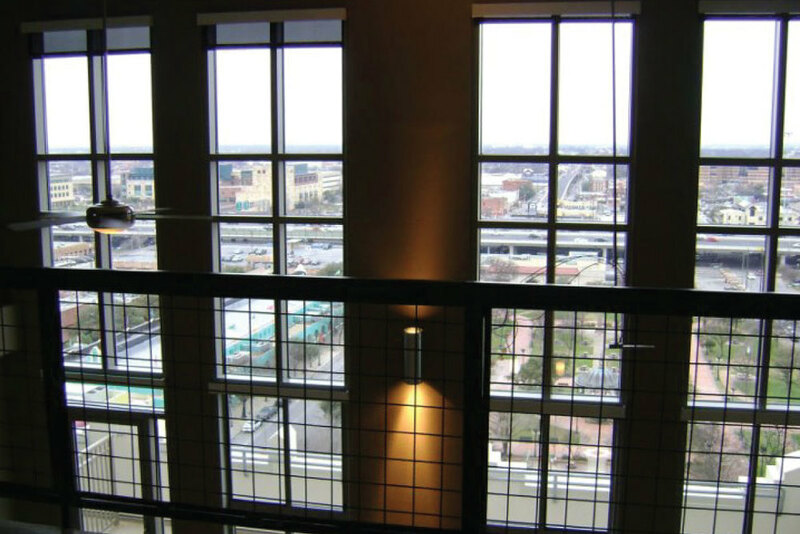 Panoramic windows frame a stunning view of the downtown San Antonio skyline. Kitchens with breakfast bars or islands and modern black-on-black appliances serve as a culinary oasis. Polished concrete floors provide the foundation of the contemporary interior. And private elevators lift you from the controlled-access parking area to reach this perch overlooking the city. San Antonio Riverwalk is just a five minute drive away. You're just a 10 minute walk way from Historic Downtown and a short drive away from San Antonio Museum of Arts.